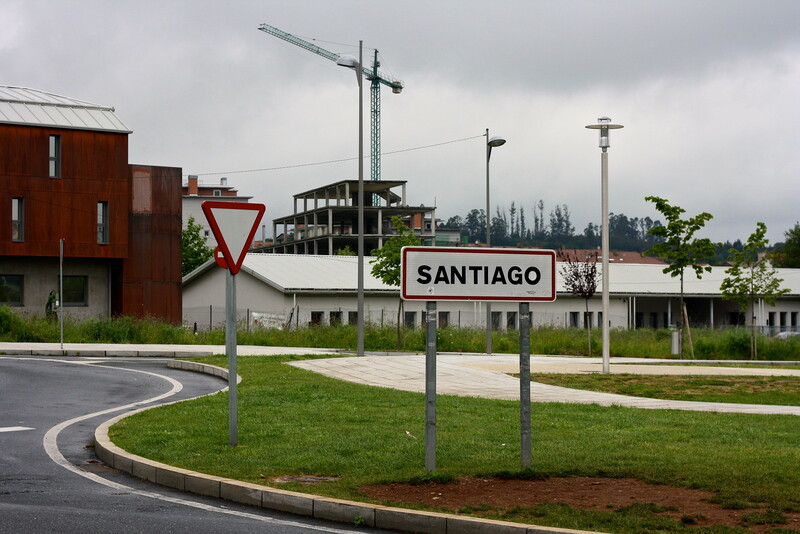 I lived abroad in the northwestern Spanish city of Santiago de Compostela for the two academic years between 2013 and 2015. 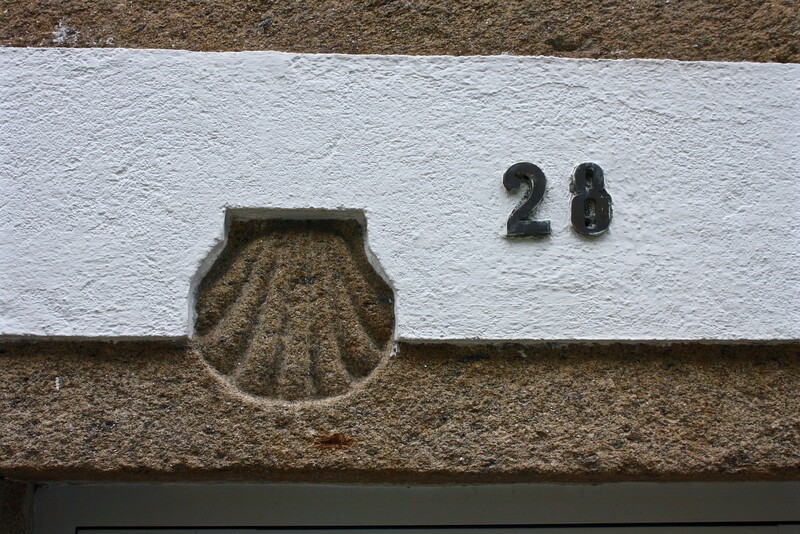 After first arriving on foot as a pilgrim finishing the Camino de Santiago in June 2013, I eventually moved to the city full time later that year to work as an English-language teaching assistant in a public elementary school on the Atlantic coast. Although I lived the year before in Úbeda in southern Spain and traveled extensively throughout the country, I spent more time in Santiago than anywhere else in Spain. My experience there left such an impact that I’d love to share with you everything I know about this fascinating place. Santiago was founded over a thousand years ago as a pilgrimage site to the supposed remains of the Apostle St. James the Greater. Pilgrims on the Camino de Santiago or “Way of St. James” made Santiago into the third-most-holiest city in the Christian world in the Middle Ages, and modern-day pilgrims have brought this medieval pilgrimage back to life, walking from the French border, Lisbon to the south, or the minimum of five days within the region of Galicia. All these pilgrims and tourists add an international feel to this average-sized city, as do university students from Germany, Italy, or Turkey on their Erasmus study-abroad semester. Toss in the status of regional capital of Galicia (northwest Spain), and you’ve got the recipe for a truly cosmopolitan city with a rich history to boot. If you’ve only got a day to spend in Santiago, click here for the tl;dr version of my guide to Santiago. Otherwise, see my recommendations below for what will make for a solid two to three days in this lovely town, whether you spend it sightseeing nonstop or just hanging out in the park. More than any other city in Spain, Santiago owes its existence to the shrine attributed to St. James and the building that was designed (even in the 1200s!) to accommodate pilgrim crowds: the cathedral. A masterpiece of both Romanesque and Baroque styles, the cathedral can be overwhelming, so start with my blog post that takes you on a guided tour around and inside the whole building. Don’t leave town without attending a pilgrim mass that features the botafumeiro, a giant, five-foot-tall thurible (incense burner). It’s swung from the ceiling from one end of the transept to the other at frightening speeds as it cleanses the air of pilgrim stank—just as it has for eight centuries. Whether the cathedral guards the body of the Apostle St. James is debatable, but no one denies that the Pórtico da Gloria is the most exquisite set of sculpture from medieval times. The “Glory Portico” spans three large tympanums (semicircular walls) above the cathedral’s original west doors, and a recent restoration has revealed remarkable multi-colored paint and facial expressions. Reserve a tour for your chance to see this treasure. 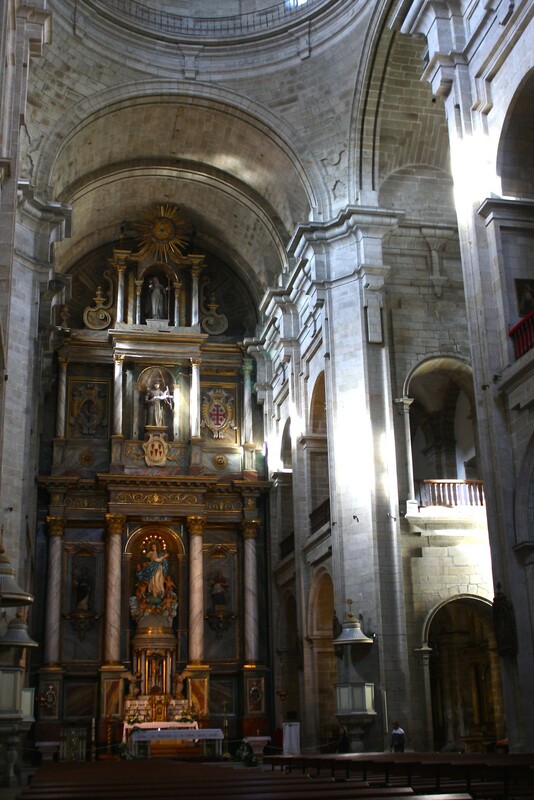 Before you exit the cathedral, take a few moments to step inside the Church of Santa María a Antiga da Corticela. This separate parish was absorbed into the cathedral’s northern walls over the centuries and is a calm, quiet place to pray and meditate. Its weighty Romanesque walls and old wooden ceiling give you a peek into the 1200s, while the rare ray of sun that pierces through a narrow window and the damp smell of Galician humidity only add to the mystique. This city belongs to UNESCO’s register of World Heritage Sites not just for the cathedral, but also for its historic old town, known as zona vella in Galician. Cityscapes in Compostela include handsome granite street pavers, arcaded avenues that provide shelter from summer sun and winter rains, and cozy alleyways that open up into quiet plazas. But there’s more to Santiago than pretty streets and buildings! The farmers market is perfect for getting to know Galician gastronomy up close and personal. See everything from wild seafood catches to fresh cheeses and homemade liqueurs at the Mercado de Abastos—just make sure to support local vendors by actually buying something here! No kitchen? No problem! There’s a restaurant on site that will cook whatever you buy at the market for a small fee. On the north side of the Praza do Obradoiro main square stands the Hostal dos Reis Católicos, a sprawling complex centered around four separate courtyards. Founded by the Catholic Monarchs (i.e., Ferdinand and Isabella) over 500 years ago, this structure’s claim to fame is being the oldest hotel in the world, having served as a guest house for pilgrims, a hospital through the 20th century, and a Parador or fancy state-run hotel today. Throughout town you’ll find various facultades (colleges) of the Universidade de Santiago de Compostela (USC), one of the world’s oldest universities. The university offers tours of its properties in the old town, and the School of Geography and History even has a rooftop patio for 360º views of central Santiago. Santiago isn’t a city you visit for museums, like Madrid, Paris, or London, but the museums that it does have do a great job at helping you understand Galician culture and the Camino. The cathedral museum—Any ticket you get for a guided tour of the cathedral (e.g., for the rooftop tour) includes access to the Museo Catedralicio de Santiago de Compostela. In addition to the standard churchy things like religious art, chalices, and tapestries, the museum also houses the cathedral’s original stone Romanesque choir stalls. The pilgrimages museum—Whether you’re a pilgrim fresh off the Camino or just passing through town, the Museo das Peregrinacións illuminates the pilgrimage phenomenon of the Way of St. James. For you architecture nerds like me, there are massive scale models of the current cathedral and of Santiago as it would have appeared in the Middle Ages. If you visit only one museum in Santiago, this is it! The Galician contemporary art museum—There’s always something interesting to see at the Centro Galego de Arte Contemporáneo. Its striking, award-winning architecture contrasts sharply with the traditional Baroque style of the Bonaval complex next door, but both are hewn from the same local granite. Free admission lets you enjoy special exhibitions that rotate out every few months. The museum of the Galician people—The Museo do Pobo Galego operates out of the former San Domingos de Bonaval monastery and houses a fascinating collection of artifacts that teach you about traditional Galician life and culture, from agriculture and fishing to music and architecture. The star of this museum is a triple spiral staircase—yes, three intertwined separate sets of stairs. Church of San Francisco—I’ve come to this church on Easter when the cathedral has been absolutely mobbed, and to be honest, I find the soaring vaults of this Classical Revival church more impressive than the cathedral’s interior. Within this Franciscan-run church, you can find a museum dedicated to the Holy Land (complete with a scale model of the Church of the Holy Sepulchre) as well as a four-star hotel and a quality restaurant. Church of San Martiño Pinario—Once a Benedictine monastery, today this massive Baroque complex contains a Catholic seminary, a guesthouse, the diocesan museum, and a stunning, sky-high church. Pay a small fee to get in and wonder at the sprawling, wooden altarpiece that’s totally covered in gold leaf, then climb the stairs to check out the magnificent wooden choir stalls that used to be in the cathedral. Church of San Paio de Antealtares—The convent this church belongs to has historically been the most prestigious in Galicia, and the nuns who live here are renowned for the pastries they bake—the king of Spain gets almond cake from here! Walk up to the revolving door on the north side of the convent, hit the buzzer, and a sweet nun will ask you what you’d like to order. I recommend pastas de té (an assortment of shortbread cookies) and almendrados (chewy almond cookies). Collegiate Church of Sar—This Romanesque parish church south of the train station almost collapsed in the 1700s, so it was reinforced with massive flying buttresses, something you’d rarely find on such a small church. Walk inside and feel disoriented, as the structure is still leaning after all these years. Have a picnic, read a book, go running, or lay out in the sun in Santiago’s excellent offering of public green spaces. Of course, all of these activities are dependent on the weather, so bring rainboots, an umbrella, and sunscreen just in case. The Alameda—Walk off your lunch in the Alameda, whose grand, tree-lined promenades are the place to see and be seen…or to just get your daily jog in. Look for statues of famous composteláns, from authors and poets to the Two Marías, sisters who would dress up in garish colors and makeup during the gray years of Franco’s dictatorship. Bonaval—Tucked behind two museums stretches this park that was once the grounds of an old Dominican monastery. It’s a lot of fun to explore, from delicate camellia bushes and the best views of the cathedral in town to a long, repetitive columbarium that would have housed the remains of monks who had passed away. Belvís—Santiago’s got no better place to have a picnic at than Belvís. Lay out a blanket on the west-facing hillside to soak up the sun, people- and dog-watch, and just generally enjoy yourself. On the north end, you can stroll through a community garden, and to the south, there’s even an arbor-lined trail that’s perfumed by wisteria vines come spring. Monte Pedroso—You can see this mountain looming over the northwest corner of Santiago’s monumental Praza do Obradoiro square. An easy hourlong walk past small houses with backyard farming plots into the woods leaves you at a miradoiro or lookout point with unbeatable views of the cathedral, the city, and Pico Sacro out in the distance. In a city park just beneath the summit, you’ll find a bar to reward your efforts with a beer and a bite to eat. The Sarela River Trail—The Sarela is a creek that trickles down the western flanks of Santiago, passing between urbanized neighborhoods, venerable oak groves, and rural farms along the way. A footpath skirts the banks of this little river and is a great place to experience the city away from the tourists, the monuments, and the crowds. 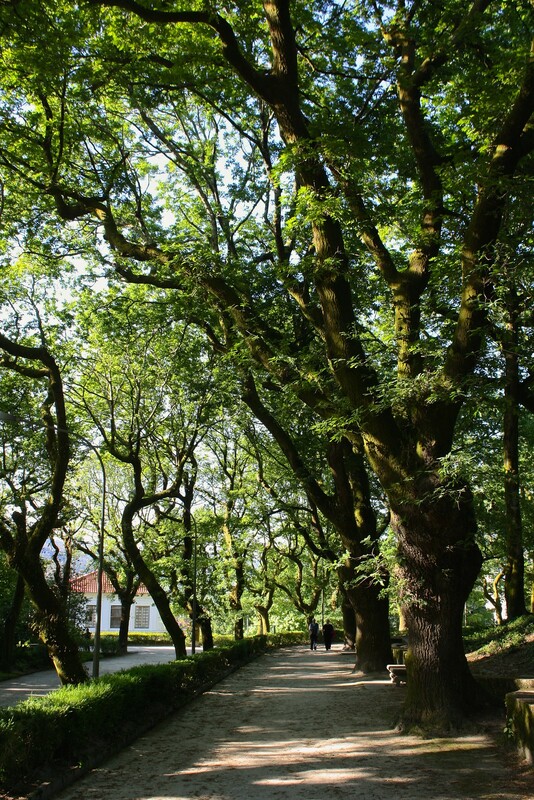 Pico Sacro—Ride a Monbus bus out to the village of Lestedo and hike up to the top of this distinctive mountain peak for panoramic views of central Galicia. Head back down to a restaurant called Casa Fachal for a post-hike meal of barbecue ribs and namesake tarta de Lestedo cheesecake. 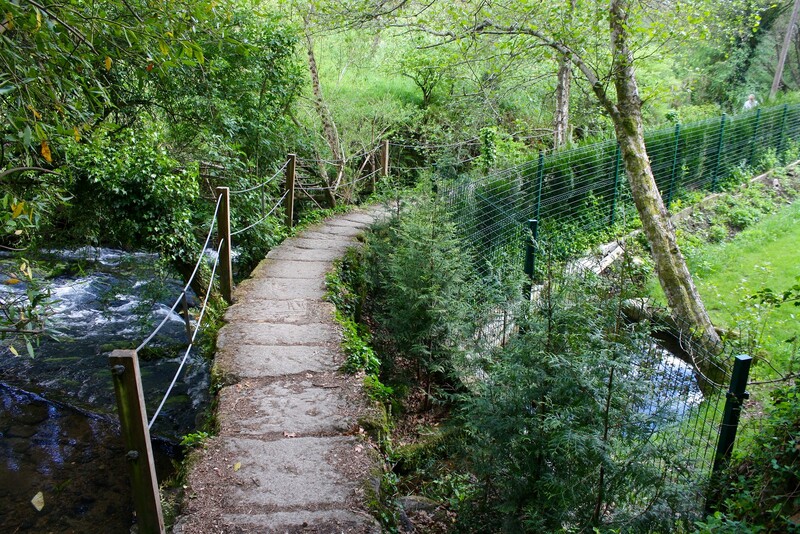 Although hiking the Camino is an extremely affordable activity (beds in pilgrim hostels start at 6€ a night! ), not all of us have the luxury of being able to take off two to six weeks off from work at a time. If you’d still like to get a feel for what this Camino is all about but don’t have the time (or energy) for a full-length pilgrimage, consider a daytrip from Santiago instead. Monte do Gozo—Take city bus 6 toward San Marcos and get off just before the end of the line at Monte do Gozo, called the “Mount of Joy” because it was the first spot along the Camino where pilgrims could finally see the spires of the cathedral. They’re mostly hidden by apartment towers today, but you’ll eventually see them on your hourlong walk back into town. Padrón—Ride an Arriva bus down to Padrón and walk 20km back along the camino portugués. The Portuguese Way receives far fewer pilgrims than other routes, and its final stage from Padrón to Santiago passes through country farms and churches, eucalyptus woods, the high-speed train line, and even the ruins of an old fortress. 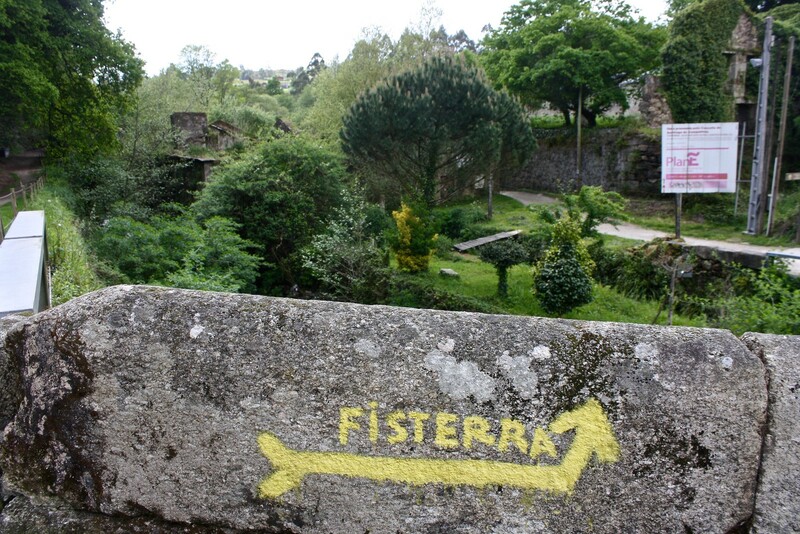 Negreira—Follow the yellow arrows to start walking west from the cathedral and you’ll find yourself on another pilgrimage: the camino de Fisterra. This three-day hike ends at Fisterra on the Atlantic coast, but you can spend a mere four hours trekking through forests and small towns to end up at the monumental Ponte Maceira bridge, your reward for a long day’s work. Take the Ferrín bus to get back home. Let’s get this out of the way: do not come to Santiago and order paella (a Valencian dish traditionally served at family gatherings on Sundays) and sangría (a punch served at parties). Instead, seek out boiled octopus with potatoes, fried little green peppers from Padrón, meat pies, cow’s-milk cheeses, and Santiago almond cake. 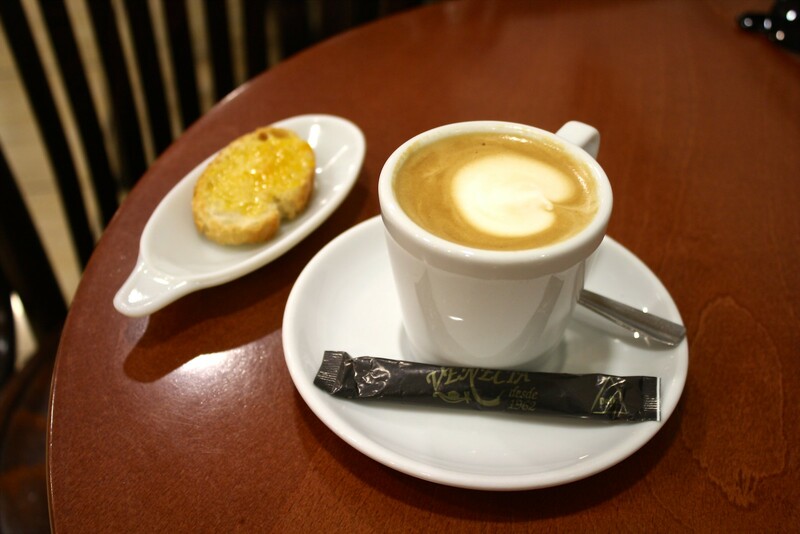 Head to the bars for local Albariño white wine or licor café, a coffee-infused liqueur. Whether it’s for a caffeine jolt or an afternoon chill-out, I’m a fan of Café Tertulia, west of the old town in a quiet residential neighborhood. Neither old-man bar nor cookie-cutter coffee shop, Tertulia features whimsical wallpaper, comfortable seating, and loose-leaf teas. I’ve spent many a morning at Café Venecia. Despite serving espresso from beans that aren’t torrefacto (i.e. burnt) and even pour-over coffee, Venecia attracts an older, newspaper-reading, cards-playing clientele, escaping hipster Third Wave vibes. Homemade sourdough toast (masa madre) is a must here! Boiled octopus (polbo á feira) is the most emblematic of Galician dishes, but it can be hit or miss depending on where you go. 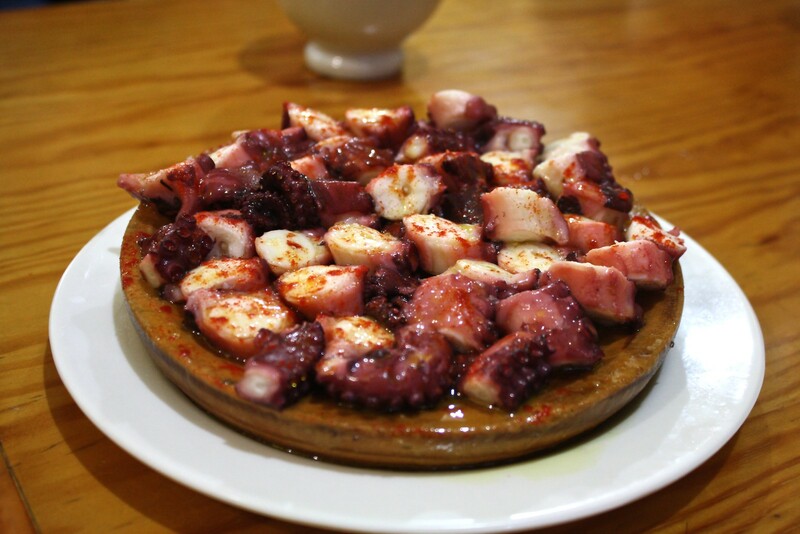 Bodegón Os Concheiros Pulpería never disappoints: expect always-tender octopus served on wooden plates, label-less bottles of wine served in traditional ceramic bowls or cuncas, and delicious slices of cumin-spiced roasted ham. I go to La Tita for my tortilla (Spanish potato omelet) fix. They don’t overcook it here, instead serving it a little runny. It pairs nicely with a glass of local Lodeiros vermouth. I like to describe O Filandón as a business-in-the-front, party-in-the-back kind of establishment. You enter a delicatessen–wine shop combo and walk past the display case of sausages and cheeses to find a cozy little bar in the back centered around a small fireplace. Your drink order comes with a free tapa of cold cuts from the deli. Modus Vivendi operates out of an old horse stable and is the oldest watering hole in Santiago for mixed drinks. I tend to order mojitos or caipirinhas here, enjoying them equally well in the always-packed basement level as I do outside the entrance (in some much fresher air). The atmosphere at Momo is relaxing and welcoming. Step across cobblestone floors to order a glass of creamy crema de orujo or caffeinated licor café, pick up a bowl of popcorn, and enjoy a refreshing night in the beer garden. By airplane: Fly into Santiago de Compostela Airport (SCQ) from cities across Spain and Europe on budget airlines Ryanair or Vueling. Pilgrims on the Camino walk right past the runway! If you’re coming from across the ocean, Madrid–Barajas (MAD) should be your first stop before transferring to a connecting flight, train, or bus. The airport transfer bus operated by Empresa Freire drops you off (and picks up) at Praza de Galicia, just south of the old town. By train: Regional high-speed trains link Santiago with A Coruña to the north, Pontevedra and Vigo to the south, and Ourense to the southwest. Long-haul Alvia trains offer multiple direct connections with Madrid and Barcelona and switch between high speed and regular speed depending on track availability. Book tickets online to score steep Promo-price discounts, or head down to the train station in person at the bottom of the hill on the south side of town. By bus: Make your way to northeast Santiago near the Xunta (regional government) to find the bus station. Monbus generally has the most connections around Galicia, while Freire runs the route between Lugo and the airport transfer. 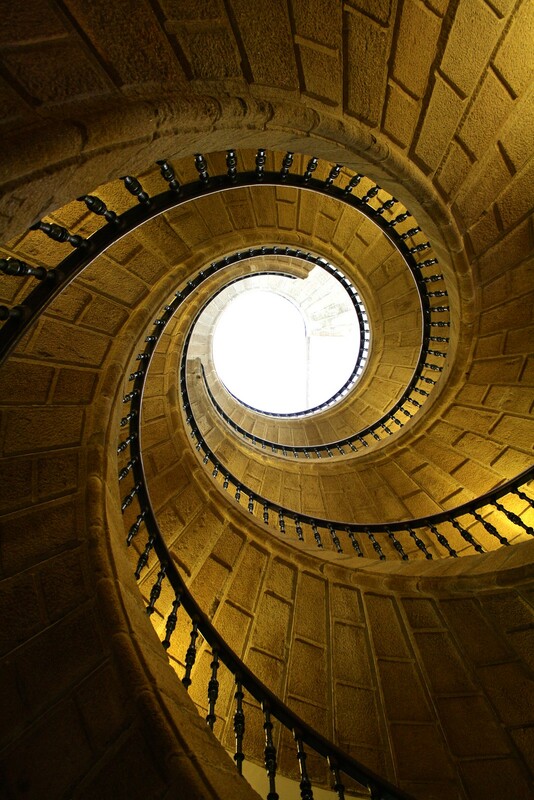 Stick with Alsa for cross-country journeys or trips south to Porto and Lisbon, Portugal. 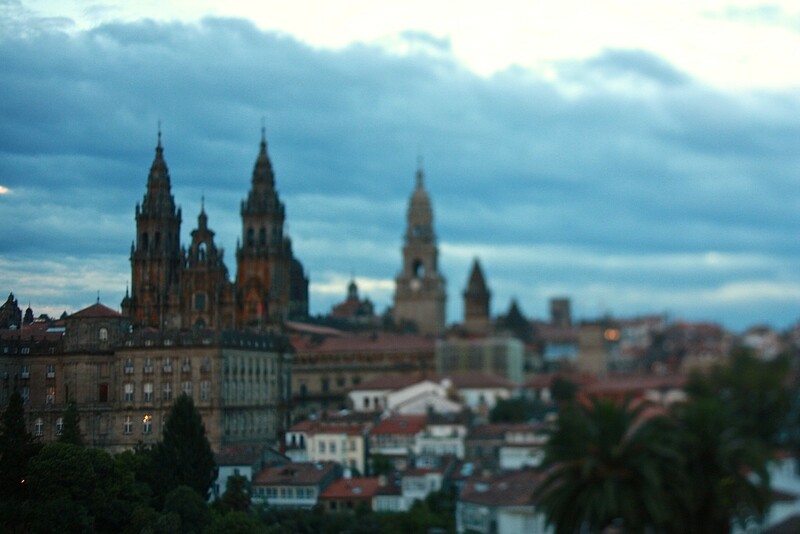 Have you been to Santiago de Compostela before, either as a pilgrim or just as a tourist? What would you most like to do on this list? Tell me your thoughts below in the discussion thread!